Cutting installation time by up to 70%, boasting an extremely low assembly height (5.5mm) and providing one unique underfloor heating system all available from a market leading innovative manufacturer – Schlüter®-DITRA-HEAT-E has arrived! Schlüter®-DITRA-HEAT-E leaves other conventional systems out in the cold as the perfect all-in-one integrated solution for use under tiles and natural stone flooring. Ideal for refurbishment and renovation projects thanks to its uncoupling and crack-bridging properties, Schlüter®-DITRA-HEAT-E is unlike anything else available due to its loose heating cables which are fixed down to the uncoupling mat free of tape as a result of its unique studded design. Offering optimum freedom for creating concentrated heating zones, as well as providing uniform spacing without the need for measuring and marking, the new system will dramatically cut installation time by up to 70%. 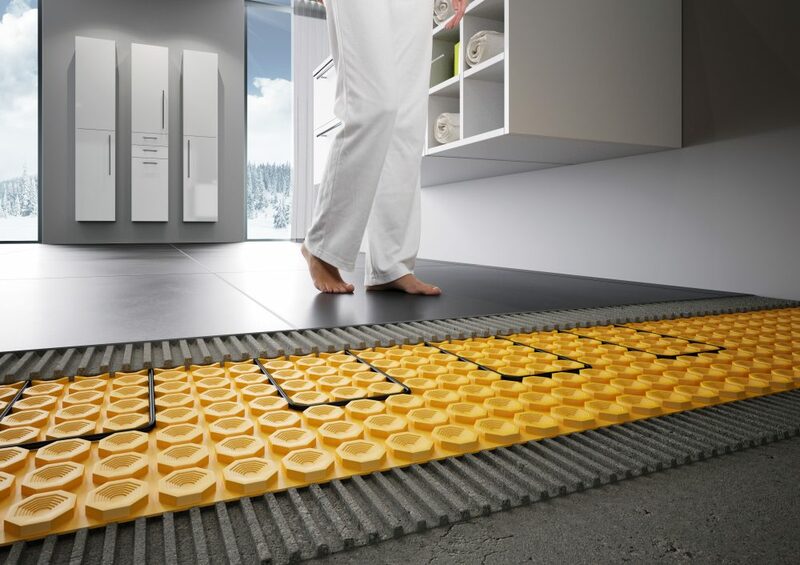 Joachim Backes, Managing Director at Schlüter-Systems, commented, “Schlüter®-DITRA-HEAT-E makes the installation of underfloor heating simpler and easier than ever before. Schlüter®-DITRA-HEAT-E is now also available in complete box sets, to fit all common UK room sizes. The sets contain everything needed for optimal underfloor heating including a thermostat, uncoupling mat and heating cable. With over 10,000 products in its range, Schlüter-Systems has an essential role to play in every professional tiling project. To find out how it can help you to create more beautiful and longer-lasting installations, please telephone 01530 813396 or visit the website at www.schluter.co.uk.